Former President Donald Ramotar on Wednesday-Emancipation Day 2018- warned Guyanese that if upcoming local and general elections are rigged it could forfeit the country’s democratic gains and crush legacy of African liberation from slavery. The opposition People’s Progressive Party (PPP), for its part, hailed the struggle by Africans against slavery and oppression. At the same time, that party called for an inclusive governance mechanism. “As our Party once again recognizes the tremendous sacrifices and the selfless contributions African ancestors made to our modern society, it wishes to reiterate the importance of the principle of racial equality, and a governance mechanism where each and every citizen regardless of race, colour or creed, be given an equal opportunity to contribute to advancement of our society,” the PPP said in a statement. 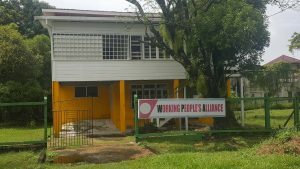 The Working People’s Alliance (WPA), which is part of the governing coalition, poured cold water on calls by PPP General Secretary, Bharrat Jagdeo for President David Granger to debate him on the extent to which Afro-Guyanese had benefited while the PPP was in office from 1992 to 2015. 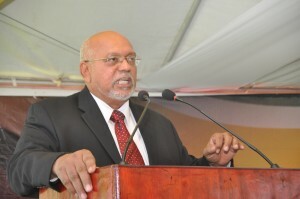 Instead, that party said there needs to be solid national discourse on how to best utilise the country’s oil revenues expected to start pouring in from early 2020 to address the feeling of despair and hopelessness emanating from large sections of the African Guyanese community as well as ethno-racial inequality. 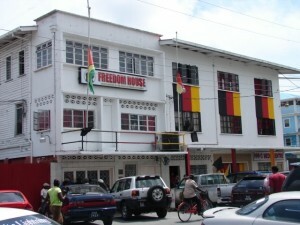 The headquarters of the Working People’s Alliance (WPA). “It is particularly important that we begin to think about ways to democratically distribute the potential benefits from the imminent oil and gas sector so that increased wealth contributes to national cohesion rather that exacerbate our already fragile ethnicity. Economic development cannot be managed outside of our ethnic realities. WPA, therefore, reiterates its long-held view that economic advance must be hinged on a political solution of which ethno-racial respect and unity is a central plank,” the WPA said. “We see clear signs of preparations to rig the upcoming local and national elections. If such plans by the ruling PNC /APNU regime are allowed to succeed then it will be pushing us back into perpetual poverty and our country further on the road to political dictatorship. If they are allowed to succeed with their diabolical plans it would desecrate the memory of the enslaved whose struggles ended slavery,” said Ramotar who served as President from 2011 to 2015. The PPP has already complained that President David Granger’s unilateral appointment of the Chairman of the Guyana Elections Commission, Retired Justice James Patterson was part of a plot to rig the elections. For his part, Patterson has emphasised the link between free and fair elections and democracy. The PPP has also expressed concern that at least 90 percent of the Elections Commission staff are Afro-Guyanese, a complaint by that party that is being investigated by the Ethnic Relations Commission. Former President Ramotar referred to August 1 as a date that was so important and recognised by the PPP’s late co-founder, Dr. Cheddi Jagan that he had proposed that date for independence from Britain. “This is, without doubt, one of the most important dates in the history of our country. It was a major blow struck for the total emancipation of all the people of our country. This date was so revered by Cheddi Jagan, the foremost fighter for Independence and Social liberation, that at the Independence Conference in London he proposed August 1st as the date for Independence,” Ramotar said.